How many of these do you have around? Take objects and see how many paperclips long they are. 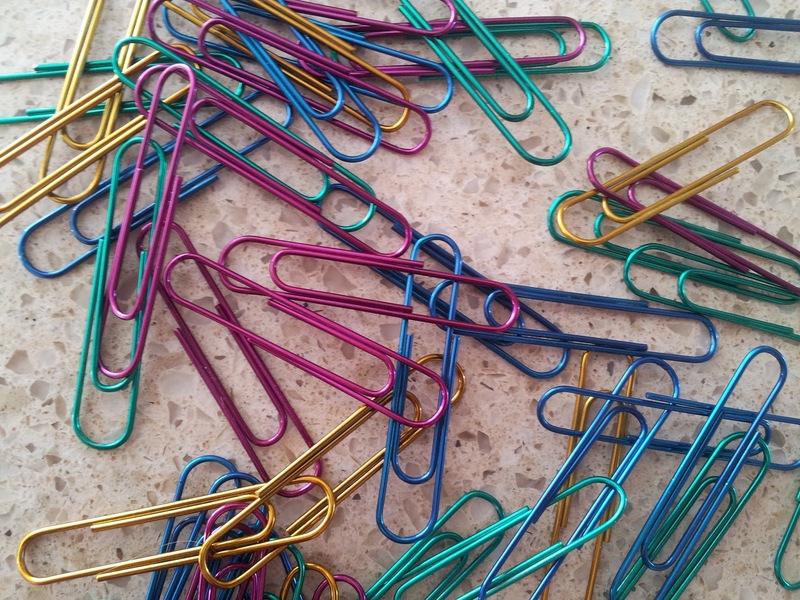 Measure the paperclip and then calculate (multiply) how long your objects were. Sort one box or handful of paperclips by color and/or size. Make a graph based on your findings. Interlock the paperclips and see how many paperclips it takes to make a belt for yourself. You could do a different power like 3 or 4--just hang that many paperclips off of each one.